It’s no longer news: consumers bounce between different channels before making a purchase. It’s common these days to have a customer check out the availability of a product online before even venturing into the brick-and-mortar store. For retailers and merchants, the implication of this trend is that they have to keep up with their customers — expand into new channels, ensure that their inventory is up to date and provide a seamless consistent experience for shoppers. Unfortunately, most merchants can’t keep up with this fast-paced, changing world of e-commerce. In fact, most are struggling terribly with their inventory selling only on a single channel. Now, throw in the additional complexity of multiple channel selling, and you’d see these sellers lagging way behind with tracking, maintaining, and managing their inventory. But, as data has shown merchants targeting shoppers on various channels averages double the revenue of retailers selling on one channel. 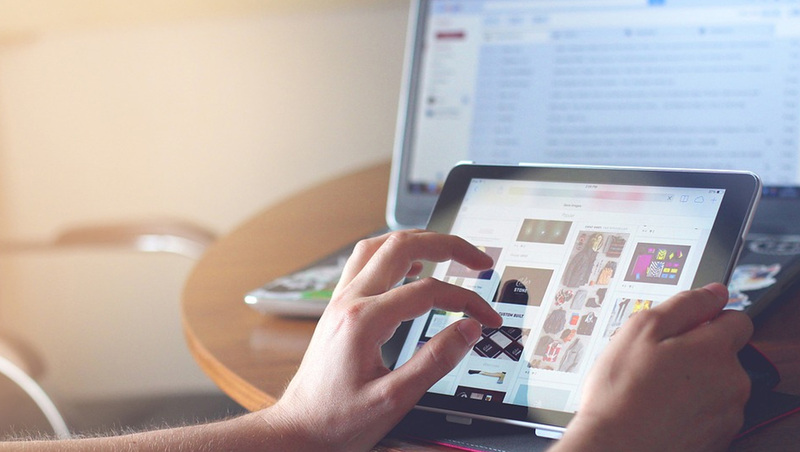 Also, given the new trend of cross-platform interactions between customers and businesses, it’s safe to say, online sales are no longer restricted to just a single e-commerce site. In fact, channels such as social media and content distribution platforms, that were previously thought of as an awareness stage funnel, are today major revenue-driving sources. That said, the question that needs an urgent answer is: How do you manage your inventory effectively across all channels? First, it’s crucial for the success of your business to understand that the modern shopper wants to shop wherever and whenever they want. This, however, does not mean blindly stretching yourself trying to be everywhere; but strategically, identifying the channels your core shoppers are and focusing your energy there. The outcome of this multi-channel strategy is that you become omnipresent for your audience while at the same time have enough reserve attention to develop and integrate an efficient back-end process necessary to run an effective business. So, if for instance, you want to sell the same product across various channels with varying requirements and listing procedure, you need a central point to manage products. This central inventory dashboard should provide you with a birds’ eye view of the number of products available and an optimized way to interact with your suppliers. This way you’re able to create a seamless front-back end process across all your marketing channels whether online or offline. Read More: Are You Ready To Adapt To These 5 Digital Marketing Predictions? The fact is you can’t rely on manually managing your inventory once you add multiple channels. A mismanaged product inventory could throw up all sort of avoidable problems for you such as overselling, delay in shipping time, poor inventory visibility, unpleasant customer experience, and dysfunctional supplier relationships. When starting out, for most merchants, it is practical to manage their inventory from the e-commerce platform. However, this becomes increasingly difficult to do as the business grows and new channels are added. The downside to the managing product inventory from a native e-commerce inventory feature is that one, there’s no real-time update on the status of the inventory, there’s no flow of accurate inventory information between the chain of communication in the organization, and it’s difficult syncing data across all sales channels except when done manually. However, adopting a centralized, cloud-based inventory management system enables an automatic updating of inventory quantities in real-time; hence, you’re able to make informed decisions; track movement of products; and easily forecast when a restock is due. How quickly are you growing? What type of products do you carry? What channels do you sell on? Are there additional software that must integrate with it? Do you need to integrate your suppliers? Do your due diligence to avoid forking out money to pay for a system you may have to change down the road. Stock must be updated in real time, and your management system should be totally automated and centralized. Your e-commerce will arrive at a point that it will need a multi-channel management platform like a Product Information Management system that ensures every platform shares the same product content and inventory numbers, so sales won’t overlap. Other online store management software like a multi-channel inventory management software helps you keep your warehouses’ stock in order and adds some extras like customer service, your own representative or a reliable express or one-day delivery service, in a wider territory or multiple countries. For small businesses or companies that jump into e-commerce sales for the first time, there’s also the option of hiring a drop shipping system or external supplier that keeps and manages the inventory for you. Taking time to prepare a system for your multi-channel inventory management is key to optimize your daily tasks, guarantee a seamless shopping and shipping process to clients and analyzing data and measurements. E-commerce inventory management is your first assignment to make your e-commerce grow with shorter fulfillment times, save time and costs and achieve a better shopping experience for your customers and a more profitable multi-channel or omnichannel business model. 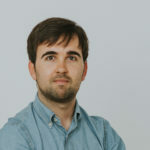 CEO at Sales Layer, Álvaro is an entrepreneur with experience in leading multinational teams, ICT project management, and organizing professional events. He currently runs Sales Layer — a B2B startup that helps companies with multichannel sales.